SP JanShop themes has been purchased 19, rating: 4/5 based on 4 reviews. SP JanShop is a Shopify theme that is developed on powerful modules such as SEO, Mega Menu, Daily Deal, Ajax technology, Slideshow, Quickview, Revolution slider, Ajax product filters, etc and advanced technologies like CSS. 3, HTML 5. Besides, it fits all stores like fashion, furniture, apparel, electronics, accessories, etc and meets on every different device. Another great point, SP JanShop owns flexible and intelligent control panel. 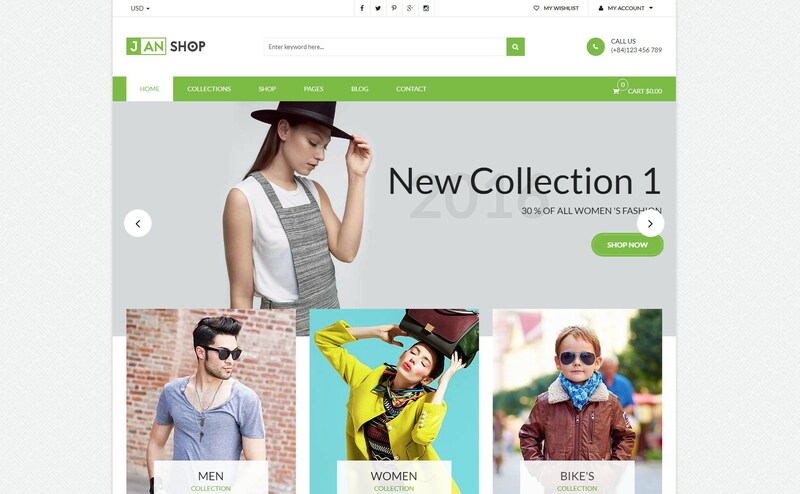 Discover SP JanShop Shopify theme today to feel!